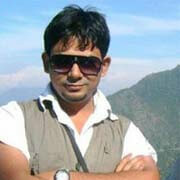 I m working as branch manager in bank of india, a gov't. bank . 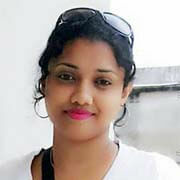 I m vegetarian and looking for a suitable groom . 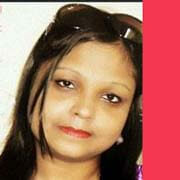 About her Family: My father is a pathologist, mother is home maker.two elder sisters got married. I m the youngest member in family. Education M.sc !!!#!!! The proposed bride is my younger daughter. She is kind- hearted, caring and loves all family members. 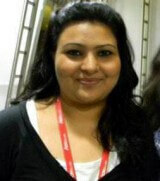 Her education right from nursery was in reputed convent school under ISC board. She passed B.Tech. in E.C.E. from NIT. 2012. Joined in Cognigent Technology in the same year. 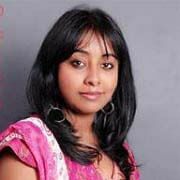 After one year she resigned & joined in Mse in NTU, Singapore. 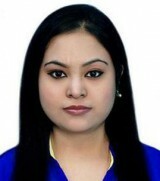 Completed, at present she is in job with work permit at Singapore. She also fond of reading & travelling. As far as cooking is concern she has poor knowledge, but she is gaining knowledge n cooking. 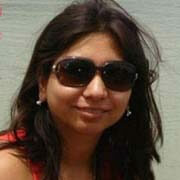 My elder daughter is Dental Surgeon, married , son in law is software engineer working in MNC. Well settled at Bengalulur. we belongs to upper middle class group. We are well settled at Agartala. Tripura. 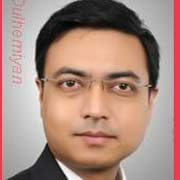 we hailed from Dacca, present Bangladesh. 68 years ago. I am :an Orthopaedic surgeon. Retired from state health services in 2008. & joined in Medical College, as faculty member. My wife is an Associate Professor , in state govt degree college,About her Family : We are a nuclear, upper middle class family. 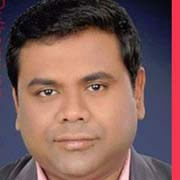 We originally hail from Dakha district of Bangladesh. We shifted 68 years ago and settled at Agartala, Tripura. My elder daughter is a Dental Surgeon, married. 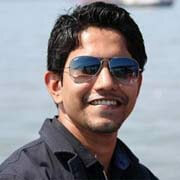 Son in law is a software engineer working in MNC, Bangalore & are settled there. I am an Orthopaedic Surgeon and is currently working as faculty in a private Medical College after retiring from state health services.My wife is an associate professor in state government degree college at Agartala. We have our own house and my brothers & sisters are staying at Agartala. 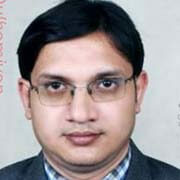 EducationI.C.S.E from Holy Cross School in the year 2006 and I.S.C from Holy Cross School in the year 2008, Agartala B-Tech in Electronics & Communications Engineering from N.I.T Agartala MSc. in Communications Engineering from NTU, Singapore. 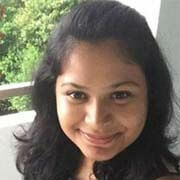 Occupation, At present she is working in Singapore.!!!#!!! My daughter is a fair, beautiful, independent, responsible and sincere girl with a very strong character. She is god fearing with very high moral and ethical values. She is a convent educated girl, holding a post graduate degree in business administration and is serving as commissioned officer in the Indian Armed Forces. With her sincerity, diligence, values and sensitivity she is fully capable of discharging her family duties proficiently and simultaneously excelling in her professional arena. She is a simple kind hearted girl who truly believes that be so happy in life that when others look at you, they too smile. She is very close to her family, likes pets and is a good singer. She shall be an inspiring and compatible life partner.About her Family .I am a retired army doctor currently serving as a medical director to a NGO based in Pune. My wife is a home maker. We are blessed with two daughters who are both serving as commissioned officer in the Indian Armed Forces. 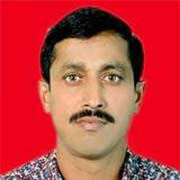 We are a higher middle class family originally from East Bengal settled in pune with very high moral and ethical values. We are god fearing people who believe in simplicity and humanity. We have given the best grooming, family values and education to our children. We are looking forward for a boy for our elder daughter from a similar family and professional background who takes the place of a son in our family.Education BBA ,MBA (HR) Occupation. Commissioned Officer in Indian Army.!!!#!!! 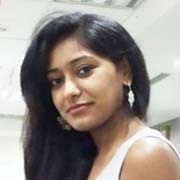 She is a simple girl n believe in simplicity in life.She has done BTech in biotechnology in graduation n MBA in Post graduation.She has done her college education from Delhi but done her schooling from DPS/Farakka (West Bengal).She is very simple, family oriented, full of life, extremely ambitious. 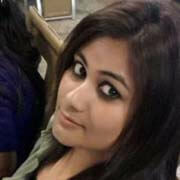 She is also very lovable,caring n respect elders.\r\nAbout her Family : We r basically from West Bengal.Our hometown is in Farakka.I have 3 daughters. She is my 2nd child. 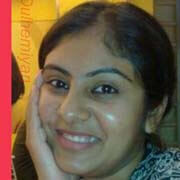 Her father is no more.My elder daughter got married in 2012 n she got settled with her husband in Bangalore. Education : She has done B.tech in Biotechnology and MBA from Delhi... 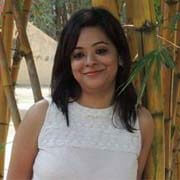 Occupation: She is AREA BUSINESS MANAGER in GLENMARK Pharma Company.!!!#!!! My son is working in an ant - virus company named Mcafee (now part of Intel) as SDE-II (Architect) . For time being, he chose not to join in much more senior role in other companies in order to consolidate his skills, before making his next career move(evidence available). 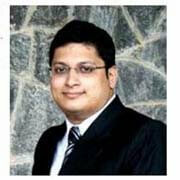 He is also pursuing his MBA from Narsee monjee -Indiranagar campus. For longtime he is a member of toastmasters international and very active in community service. During long weekends, he enjoys long distances highway cruise riding to hill stations, mountain ranges ,national parks and loves taking pictures of it. He is also a very good chef. As a person he is very determined, independent, well balanced and has strong perseverance, though difficult to figure out in the first meet due to his down to earth nature. We are a family of four based in Vizag for over 30 years. I am an Indian Engineering Service (Group I gazetted) officer in the Indian navy cadre presently posted in Port Blair while my wife is a retired professor and my daughter is also B.Tech and was working in Ericsson till her marriage, now settled in Mumbai. My son-in-law is an AGM in life sciences dept in TCS (Mumbai) Our relatives are spread across Bhilai and suburbs of kolkata, while my wife's relatives are in Bhilai and Birbhum district. Our gotra is Alliman while my wife belongs to Mitra family (Vishwamitra gotra). My son has done schooling from KV. 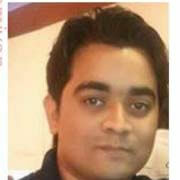 BE from Rajiv Gandhi Proudyogiki Vishwavidyalaya, Bhopal Works in Intel-Mcafee Corporation as SDE-II (architect). Likes to stay there time being before moving ahead. !!!#!!! Few words about me. 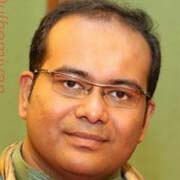 i am born and brought up in kolkata. Currently working in hdfc bank veraval . My family is situated at 24 pgs ( N). Both of. my parents are graduate. I have done MBA finance. Its before i was working in reliance commercial finance and right now i am working in HDFC as Relationship manager.!!!#!!! Namaste! apart from interviews its really tough to describe oneself in just words. life is like an open book. the more you read. more it fascinates you. i believe honesty and mutual understanding lay the foundation of any strong and everlasting relationships. well. to say about myself i would say i am very open minded and down to earth kind of person and i love fun and adventure in life. i like to live life and i feel life is too short to worry about small issues. a peaceful discussion and an open conversation from both sides can clear all kinds of disputes and confusion. We are a close knit family with modern outlook and we believe in togetherness and mutual respect, giving utmost importance to family values. My dad is an engineer, retired from Steel Authority of India Limited , and my mom is a doctor. my younger brother after completing his b-tech from BIT Mesra Ranchi is also pursuing his MBA from one of the prime institutes of india. !!!#!!! I am a simple, straight forward person with strong values, and enjoy the basic pleasures of life. I like to spend quality time with my family. I spend most weekends or vacations trying different cuisines, traveling, reading a good book or watching an interesting movie. Currently working as a Vice President at an MNC bank in Mumbai with the possibility of relocating to any other city in India or abroad. I'm looking for a simple, educated, jovial, Mature, Flexible life partner with complementary interests from a good family to share this journey with me. Gon - Dev gon Please provide date, place and time of birth of the prospective bride when initiating contact. Well educated, well traveled, well connected and well read upper middle class, probashi bengali family. Father retired as a General Manager from a MNC and is a prolific reader and a writer. Mother is a home maker. Specialist in Forensic Investigation and Audit of Complex Financial Products. !!!#!!! My son Respects individuals & God fearing \r\nLively, Expressive & Confident boy. 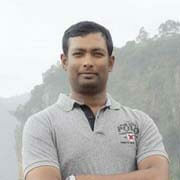 He has done BE , currently working in Private Sector. Earning 13 LPA. We are looking for a well educated , PG , Teacher match from Chhattisgarh. Are you looking for a Bengali bride or Bengali groom ? Our Bengal matrimony site will come handy for you in this regard. Go through numerous matrimony profiles and find out the best life partner after your Bengali matrimony login. 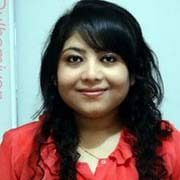 Our Bengali matrimony skilled site developers focus on the privacy of your shared information. We do not use your info for commercial purposes. Considering that, it is guaranteed that your activities on our Bengali matrimony website is going to be safe and secure. Write your own Bengali marriage story and join the other amazing couples who were helped by our Bengali matrimonial site.